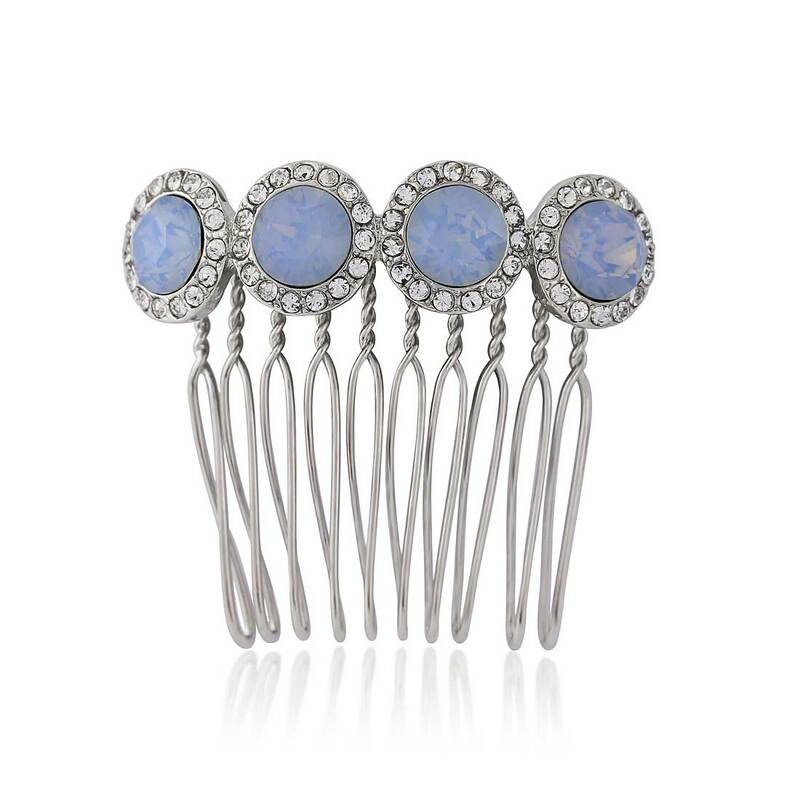 Adorned with vibrant sky blue opal crystals, this classic hair comb will dress your hair with a chic splash of colour. Reminiscent of a clear sky awash with the most vibrant shade of blue, the allure of our Shimmering Sky Hair Comb is captivating. Four light cornflower opal crystals are surrounded by petite sparkling clear crystals for a style that is so very chic. The perfect hair accessory to bejewel a retro backcombed Beehive with 1950s glamour or to accessorise a half-up style, Shimmering Sky will dress your ‘do with a twinkling pop of striking colour. If you’re incorporating this stunning shade into your blue wedding theme, Shimmering Sky Hair Comb is a must-have bridesmaid accessory. Whether your girls are wearing dresses in this fabulous tone or simple holding a bouquet of bluebells or delphiniums, this pretty ‘piece’ will bring your special day together with mesmerising style.